website | Professor Elkins’ research focuses on issues of democracy, institutional reform, research methods, and national identity, with an emphasis on cases in Latin America. 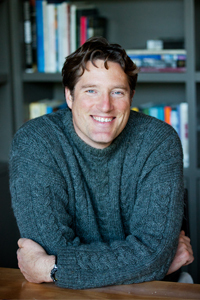 He is currently completing a book manuscript, Designed by Diffusion: Constitutional Reform in Developing Democracies, which examines the design and diffusion of democratic institutions, and recently completed The Endurance of National Constitutions, which explores the factors that lead to the survival of national constitutions. With Tom Ginsburg (University of Chicago), Professor Elkins co-directs both the Comparative Constitutions Project, a NSF-funded initiative to understand the causes and consequences of constitutional choices, and the website constituteproject.org, which provides resources and analysis for constitutional drafters in new democracies. Elkins earned his B.A. from Yale University, an M.A. from the University of Texas at Austin, and his Ph.D. from the University of California, Berkeley. This course surveys important topics in the politics of developing countries. The course begins conceptually with a closer look at the idea of “development” and the classification of cases along such lines. We then examine the historical foundations of political systems in the developing world. We briefly explore the constraints of geography before turning to aspects of colonialism, the rise of nationalism, the movements for independence, and transitions to and from democratic rule. The second part of the course then investigates particular demographic challenges to (and policy solutions for) governance in the developing world, including the problem of population, urban migration, and agrarian reform. In the third part, we turn to sources of political change and upheaval in these societies, including globalization, ethnic violence, and the role of women in politics. The following materials are available for purchase at the UT. You will also find them online. All other readings are available on the course website. The assignments in this course are designed to assess your understanding of the readings on a regular basis. The expectation is that you complete the reading before each lecture. Your grade will be based on the following components. (1) Geography Tests (15%). To help contextualize the topics, you will be responsible for learning the location of the various countries in Africa, Asia, and Latin America, as well as their capital cities and several major geographical features. There will be three geography tests, one for each region. More details are posted on the course website. (2) Two Exams (50%). These will be in-class, non-cumulative exams with three components: multiple choice, concept identification, and essay. The multiple choice questions are designed to test your understanding of the readings and lectures. You should expect at least two questions based on each reading or lecture. The essay questions and concept identifications, which will be distributed prior to the exams, test your command of major concepts, themes, and arguments. (3) Participation (15%). This is simply the number of lectures that you attend, as a percentage of all lectures minus two [i.e., lectures attended/(all lectures - 2)]. So, you can miss two lectures (or forget your i-clicker) and still receive a perfect score. You can also score over 100% on this component. (4) Short Writing Assignment (20%). At the end of the semester, you will write a short paper, styled as an opinion piece that might appear on the “op-ed” pages of the New York Times. Grading Scale. Grades will be assigned on a (+/-) basis according to the following scale: 94-100 = A; 90-93 = A-; 87-89 = B+; 84-86 = B; 80-93 = B-; etc. This course introduces students to the challenges of developing meaningful social science concepts and of identifying and evaluating appropriate measures of these concepts. These are challenges that arise, explicitly or not, in nearly every social science inquiry. Topics include the following. What makes for a “good” concept? How do we determine the defining characteristics of concepts? How can we build measures of concepts and evaluate their reliability and validity? How can we measure concepts comparably across different contexts (both geographic and historical)? The objective of the course is highly pragmatic. Students will develop a familiarity with a varied set of methodological tools that are useful with both qualitative and quantitative data. As such, the course requirements will include applied exercises and analyses. The course will entail both “interpretive” and statistical components, although prior coursework in methodology of any sort is not required or expected. Online. Information for this course will be posted on the class Canvas site. There you will find updates to this syllabus, electronic copies of selected readings, instructions for uploading assignments, and regular announcements. If you have any problems with your password or accessing Blackboard, contact ITS. If you can access Blackboard, but cannot access any material from this course, please contact Professor Elkins by email. Software. For several units in the course, we will employ various software packages, all of which are available on the apps.austin.utexas.edu server. If you do not already have an account on that server, you should acquire one from ITS. (1) Reaction papers and problem sets (50%). For most (but not all) weeks you will be responsible for a short assignment related to the week’s theme. Typically, you will be asked to write a short reaction paper (roughly two pages, double spaced), in which you reflect on some aspect(s) of the reading. For some of these weeks, I will ask that you address a particular topic or question in your reaction paper and for some I will give you a short problem set in lieu of the reaction paper. Unless otherwise noted, the reaction papers are due by 10 PM on the Tuesday prior to class. (2) Research Paper (50%). You will be expected to produce a short (15 page) research paper on one of the themes of the course. This paper can build on your writing from the weekly assignments. The paper is due Wednesday, May 8 at 5PM. The process for drafting legislation - whether in the form of constitution law or ordinary statutes -- shares many of the challenges of any collaborative writing project. Drafters struggle to maximize the coherence, clarity, and parsimony of the document against the competing challenges of reaching consensus among multiple actors across multiple dimensions and integrating and sequencing a vast amount of information (including expert policy evaluations, public input, and editorial and substantive suggestions from fellow drafters). More often than not, legislative processes appear to produce a strikingly suboptimal document, at least with respect to the goals enumeraged above. The Brazillian constitution of 1988 is illustrative. In that case, over 500 delegates worked for almost two years to synthesize the views of fellow delegates, interest groups, the general public (who themselves had submitted over 60,000 proposals). The resulting document, while an inspirational symbol of participatory democracy, is one of the most verbose and least coherent national charters in force today. For a U.S. audience, the 2,000 page health care bill, read and understood by few, might be a more resonant example.The rather pragmatic issues involved in writing collectively - whether the text is national law, international treaties, legal contracts, business plans, or analytic reports - demands more scholarly attention, experimentation, and workable perscriptions. Fortunately, there exists relevant theory for how to approach the pathologies of collective writing and decision making as well as some promising practical tools for mediating the actors' writing, negotiating, and editing. This course will be dedicated to exploring these challenges and their solutions. Elkins, Zachary, Tom Ginsburg, and Justin Blout. 2009. "Does the Process of Constitution-Making Matter." Annual Review of Law and Social ScienceElster, Jon. 1995. "Forces and Mechanisms in the Constitution-Making Process." Duke Law Journal 364Mark Warschauer. 1997. "Computer-Mediated Collaborative Learning: Theory and Practice." The Modern Language Journal 81(4). Professor Elkins focuses on issues of democracy, institutional reform, research methods, and national identity, with an emphasis on cases in Latin America. He is currently completing a book manuscript, Designed by Diffusion: Constitutional Reform in Developing Democracies, which examines the design and diffusion of democratic institutions, and recently completed The Endurance of National Constitutions, which explores the factors that lead to the survival of national constitutions. With Tom Ginsburg (University of Chicago), Professor Elkins co-directs both the Comparative Constitutions Project, a NSF-funded initiative to understand the causes and consequences of constitutional choices, and the website constitutionmaking.org, which provides resources and analysis for constitutional drafters in new democracies. He loves teaching and has been the recipient of a number of teaching awards. Elkins earned his B.A. from Yale University, an M.A. from the University of Texas at Austin, and his Ph.D. from the University of California, Berkeley. The process for drafing legislation - whether in the form of constitution law or ordinary statutes -- shares many of the challenges of any collaborative writing project. Drafters struggle to maximize the coherence, clarity, and parsimony of the document against the competing challenges of reaching consensus among multiple actors across multiple dimensions and integrating and sequencing a vast amount of information (including expert policy evaluations, public input, and editorial and substantive suggestions from fellow drafters). More often than not, legislative processes appear to produce a strikingly suboptimal document, at least with respect to the goals enumeraged above. The Brazillian constitution of 1988 is illustrative. In that case, over 500 delegates worked for almost two years to synthesize the views of fellow delegates, interest groups, the general public (who themselves had submitted over 60,000 proposals). The resulting document, while an inspirational symbol of participatory democracy, is one of the most verbose and least coherent national charters in force today. For a U.S. audience, the 2,000 page health care bill, read and understood by few, might be a more resonant example. The rahter pragmatic issues involved in writing collectively - whether the text is national law, international treaties, legal contracts, business plans, or analytic reports - demands more scholarly attention, experimentation, and workable perscriptions. Fortunately, there exists relevant theory for how to approach the pathologies of collective writing and decision making as well as some promising practical tools for mediating the actors' writing, negotiating, and editing. This course will be dedicated to exploring these challenges and their solutions. Mark Warschauer. 1997. "Computer-Mediated Collaborative Learning: Theory and Practice." The Modern Language Journal 81(4). This course introduces students to the challenges of developing meaningful social science concepts and identifying and evaluating appropriate measures of these concepts. These are challenges that arise, explicitly or not, in nearly every social science inquiry. Topics include the following. What makes for a “good” concept? How do we determine the defining characteristics of concepts? How can we build measures of concepts and evaluate their reliability and validity? How can we measure concepts comparably across different contexts (both geographic and historical)? The objective of the course is highly pragmatic. Students will develop a familiarity with a varied set of methodological tools that are useful with both qualitative and quantitative data. As such, the course requirements will include applied exercises and analyses. The course will entail both “interpretive” and statistical components, although prior coursework in methodology of any sort is not required or expected. Online. Information for this course will be posted on the class Blackboard site. There you will find updates to this syllabus, electronic copies of selected readings, instructions for uploading assignments, and regular announcements. If you have any problems with your password or accessing Blackboard, contact ITS. If you can access Blackboard, but cannot access any material from this course, please contact Professor Elkins by email. Print. The following books are available for purchase at the UT Co-op or from online bookstores at your convenience. All other readings will be available on the course website. Carmines, Edward J. and Richard A. Zeller. 1979. Reliability and Validity Assessment. Beverly Hills: Sage. Goertz, Gary. 2006. Social Science Concepts: A User’s Guide. Princeton: Princeton University Press. (5) Reaction papers and problem sets (50%). Most (but not all) weeks you will be responsible for a short assignment related to the week’s theme. Typically, you will be asked to write a short reaction paper (roughly two pages, double spaced), in which you reflect on some aspect(s) of the reading. For some of these weeks, I will ask that you address a particular topic or question in your reaction paper and for some I will give you a short problem set in lieu of the reaction paper. Unless otherwise noted, the reaction papers are due by 10 PM on the Tuesday prior to class. (6) Research Paper (50%). You will be expected to produce a short (15 page) research paper on one of the themes of the course. The paper is due Friday, December 10 at 5PM. Recent constitutional reconstruction in Iraq and Afghanistan has redirected our attention to the problems of creating foundational charters. In this course we will examine the design and implementation of national constitutions. In particular, we will address the following questions. What are the basic elements of constitutions? How do these elements differ across time, across region, and across regime type? What is the process by which states draft and implement constitutions? What models, theories, and writings have influenced the framers of constitutions? What are the expected consequences of different constitutional choices? The course requires careful and diligent reading, consistent participation, and two in-class exams. (1) Class Participation (20%). The participation score will be based on both attendance and, more importantly, your contribution to class discussions. (2) Reaction papers (20%). For at least six of the sessions, you will be required to respond to the readings in a short reaction paper. You may choose which of the six sessions you turn in papers, except that you must complete three in each half of the course (that is, three before March 9 and three after). Reaction papers are short (roughly 500-word) essays in which you reflect on the readings and address any criticism(s) or reactions to the readings. Some weeks you might be asked to address a particular question, but for most weeks you can address the issues or questions of your choice. For more guidance, see the handout, “How to Write a Reaction Paper,” which is available on the course website. Reaction papers for each week must be posted on the website by 10 PM on the day before class. See the handout for specific instructions on how to post your paper. Reaction papers are graded on an acceptable/unacceptable basis. As long as you show that you have read, and reflected on, the reading in a coherent thoughtful fashion, your paper will be deemed acceptable and you will receive full credit. (3) Short Analytical Paper (20%). As part of a series of classes on the process and practice of constitutional assistance, you will review recent or draft constitution from a country currently or recently involved in constitutional design and write up your findings. (4) Exams (40%). You will take two in-class exams (a midterm and a final) in which you will be asked to respond to a series of questions testing your comprehension of the reading. Grading Scale. Grades will be assigned on a (+/-) basis according to the following scale: 97-100 = A+; 94-96 = A; 90-93 = A-; 87-89 = B+; 84-86 = B; etc. The following books are available for purchase at the UT Co-op or from online bookstores at your convenience. All other materials will be available on the course website. Elkins, Zachary, Tom Ginsburg, and James Melton. 2009. The Endurance of National Constitutions. Cambridge University Press. Lijphart, Arend. 1999. Patterns of Democracy. Yale University Press. Recent constitutional reconstruction in Iraq and Afghanistan has redirected our attention to the problems of creating foundational charters. In this course we will examine the design and implementation of national constitutions. In particular, we will address the following questions. What are the basic elements of constitutions? How do these elements differ across time, across region, and across regime type? What is the process by which states draft and implement constitutions? What models, theories, and writings have influenced the framers of constitutions? We proceed by reviewing the historical roots of select constitutions and investigate their provisions and formal characteristics. We begin with a carefully investigation of the North American experience, both in the United States and Canada and then move to other noteworthy constitutions in each of the other continents.The course requires careful and diligent reading, consistent participation, and two in-class exams. Course Description: This course surveys important topics in the politics of developing countries. The course begins conceptually with a closer look at the idea of “development” and the classification of cases along such lines. We then examine the historical foundations of political systems in the developing world. We briefly explore the constraints of geography before turning to aspects of colonialism, the rise of nationalism, the movements for independence, and transitions to and from democratic rule. The second part of the course then investigates particular demographic challenges to (and policy solutions for) governance in the developing world, including the problem of population, urban migration, and agrarian reform. In the third part, we turn to sources of political change and upheaval in these societies, including globalization, ethnic violence, and the role of women in politics. Course Description: This course introduces students to the challenges of developing meaningful social science concepts and identifying and evaluating appropriate measures of these concepts. These are challenges that arise, explicitly or not, in nearly every social science inquiry. Topics include the following. What makes for a “good” concept? How do we determine the defining characteristics of concepts? How can we build measures of concepts and evaluate their reliability and validity? How can we measure concepts comparably across different contexts (both geographic and historical)? The objective of the course is highly pragmatic. Students will develop a familiarity with a varied set of methodological tools that are useful with both qualitative and quantitative data. As such, the course requirements will include applied exercises and analyses. The course will entail both “interpretive” and statistical components, although prior coursework in methodology of any sort is not required or expected. Cheibub, Jose Antonio, Zachary Elkins, and Tom Ginsburg. 2014. “Beyond Presidentialism and Parliamentarism.” British Journal of Political Science 44(3): 515-544. Elkins, Zachary, James Melton, Tom Ginsburg, and Kalev Leetaru. 2012. “On the Interpretability of Law: Lessons from the Decoding of National Constitutions.” British Journal of Political Science 43(2): 399-423. Elkins, Zachary. 2010. “Diffusion and the Constitutionalization of Europe.” Comparative Political Studies 43: 1-31. Ginsburg, Tom, Zachary Elkins, and Justin Blount. 2009. “Does the Process of Constitution-making Matter.” Annual Review of Law and Social Science 5:201-223. Simmons, Beth and Zachary Elkins. 2004. “The Globalization of Liberalization: Policy Diffusion in the International Political Economy.” American Political Science Review 98: 171-190.
de Figueiredo, Rui and Zachary Elkins. 2003. “Are Patriots Bigots? An Inquiry into the Vices of In-group Pride.” American Journal of Political Science 47-171-188. Elkins, Zachary. 2000. ”Gradations of Democracy? Empirical Tests of Alternative Conceptualizations.” American Journal of Political Science 44: 293-300. Elkins, Zachary. 2014. ”Measuring Partial Membership in Categories: Alternative Tools.” Qualitative and Multi-Method Research Newsletter 12(1). Elkins, Zachary. 2013. ”The Weight of History and the Rebuilding of Brazilian Democracy.” Lua Nova: Revista de Cultura e Política 88:257-303. Elkins, Zachary. 2013. “Comparability and the Analysis of National Constitutions.” APSA-CP Newsletter 23(1). Elkins, Zachary. 2013. “When Constitutions Shape National Identity.” LASA Forum. Elkins, Zachary, Tom Ginsburg, and Beth Simmons. 2013. “Getting to Rights: Treaty Ratification,Constitutional Convergence, and Human Rights Practice.” Harvard International Law Journal. Elkins, Zachary, Tom Ginsburg, and James Melton. 2012. Comment on Law and Versteeg’s ‘The Declining Influence of the U.S. Constitution.” NYU Law Review. Elkins, Zachary, Tom Ginsburg, and James Melton. 2010. ”Lessons from the Decoding and Coding of National Constitutions.” APSA-CD Newsletter 9(1). Elkins, Zachary, Tom Ginsburg, and James Melton. 2010. “On the Evasion of Executive Term Limits.” William and Mary Law Review 52. Ginsburg, Tom and Zachary Elkins. 2010. “Ancillary Powers of Constitutional Courts.” University of Texas Law Review 87: 1430-61. Elkins, Zachary, Tom Ginsburg, and James Melton. “Military Occupations and their Constitutional Residue.” APSA-CP Newsletter 19(2): 7-10. Ginsburg, Tom, Svitlana Chernykh, and Zachary Elkins. “Commitment and Diffusion: How and Why National Constitutions Incorporate International Law.” Illinois Law Review 49(4): 1139-1178. Zachary Elkins, Tom Ginsburg, and James Melton. “Baghdad, Tokyo, Kabul…Constitution Making in Occupied States.” William and Mary Law Review 49(4): 1139-1178. Elkins, Zachary and Beth Simmons. “On Waves, Clusters, and Diffusion: A Conceptual Framework,”with Beth Simmons. Annals of the American Academy of Political and Social Science 598: 33-51. Elkins, Zachary. 2014. ”Comparative Approaches to Constitutional Gun Rights.” In Glenn Howard Utter (ed) Guns and Contemporary Society: The Past, Present, and Future ofFirearms and Firearm Policy. Elkins, Zachary, Tom Ginsburg, and James Melton. 2014. “The Content of Authoritarian Constitutions.” In Tom Ginsburg and Alberto Simpser (eds) Constitutions in Authoritarian Regimes. Cambridge University Press. Cheibub, Jose, Zachary Elkins, and Tom Ginsburg. 2012. ”Still the Land of Presidentialism? Executives and the Latin American Constitution,” in Detlef N olte and Almut Schilling (eds.). New Constitutionalism in Latin America: Promises and Practices. London: Ashgate. Blount, Justin, Zachary Elkins, and Tom Ginsburg. 2012. ”Does the Process of Constitution-Making Matter?” In Tom Ginsburg (ed. ), Comparative Constitutional Design. Cambridge: Cambridge University Press. Elkins, Zachary, James Melton, and Tom Ginsburg. 2011. ”Do Executive Term Limits Cause Constitutional Crises.” In Tom Ginsburg (ed. ), Comparative Constitutional Design. Cambridge: Cam- bridge University Press. Cheibub, Jose Antonio and Zachary Elkins. 2009. “A Hibridizacao De Formas Constitucionais: A Constituicao Brasileira De 1988 Em Uma Perspectiva Historica.” In O Legislativo Brasileiro em Perspectiva Comparada. Lucio Renno and Magna Inacio, eds. Editora Editora UFMG. Pp. 55-77. Elkins, Zachary. 2009. “Constitutional Networks.” In Miles Kahler (ed. ), Networked Politics: Agency,Power, and Governance. Ithaca, NY: Cornell University Press. Pp. 43-63. Elkins, Zachary and Beth Simmons. 2003. “Globalization and Policy Diffusion: Explaining Three Decades of Liberalization.” In Miles Kahler and David A. Lake (eds.) Globalizing Authority: Economic Integration and the Changing Structure of Governance. Princeton, NJ: University of Princeton Press. Pp. 275-304. Elkins, Zachary. 2012. Review of Tulia G. Falleti’s Decentralization and Subnational Politics in Latin America (Cambridge: Cambridge University Press) in Perspectives on Politics. Elkins, Zachary. 2005. Review of Marcus Kurtz’s Free Market Democracy and the Chilean and Mexican Countryside (Cambridge: Cambridge University Press) in Comparative Political Studies 38: 330-332. Elkins, Zachary. 2013. ”Rewrite the Second Amendment.” New York Times, April 5, 2013. p. A23. Elkins, Zachary, Tom Ginsburg, and James Melton. 2013 ”Guns Truly are American Exceptionalism.” Bloomberg View, March 7, 2013. Elkins, Zachary. “Constitutional Engineering.” 2010. In Leonardo Morlino (ed.) The International Encyclopedia of Political Science. Sage. Stiles, Jon, Jonathan Cohen, Zachary Elkins, and Frederick Gey. 1998. Latino Demographic Data Book. Berkeley, CA: California Policy Studies. 176pp. Cavalcanti, Maria, Zachary Elkins, Katherine Mock, and O’Neal Spicer. 1997. ”Problems of Service Delivery in Brazilian Public Security Policy,” In Policymaking in a Redemocratized Brazil, Volume 2: Public Policy and Social Exclusion. Austin, TX: University of Texas Press. Pp. 47-69. Elkins, Zachary and Adelaide Farrah. 1994. ”Racing Toward a New Disabilities Strategy in the Americas.” Americas 46 (4). Most of my research on constitutional design centers around the Comparative Constitutions Project (CCP), a project that I conceived with Tom Ginsburg while we were colleagues at the University of Illinois. The heart of the project is a set of data on the content of historical constitutions. 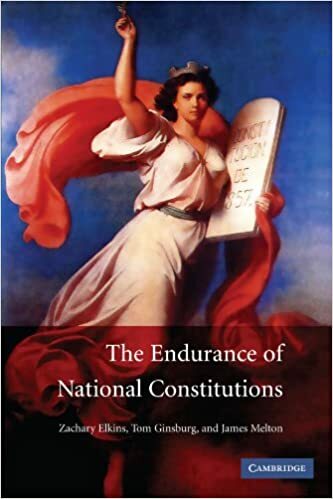 Our 2009 book, the Endurance of National Constitutions, which we wrote with our stand-out graduate student James Melton, is the first book-length product from this project. I have a growing number of other papers on constitutional design, most written with Ginsburg and Melton and most drawing from our ever-expanding CCP enterprise. This writing includes work on theprocess of writing constitutions, the consequences of limiting the terms of executives, a reconsideration of the utility of the classic distinction between Presidentialism and Parliamentarism (with Jose Cheibub), the peculiar species of constitution written under military occupation, the effect of international human rights covenants on the menu of rights in national constitutions (with Beth Simmons), as well as working papers on the measure of a host of important Political Science concepts (such as the ease of constitutional amendment, judicial independence, and federalism). I am also currently completing a book on the diffusion of constitutional ideas, which draws from my Phd dissertation, but more on that below. I have also been involved in a number of efforts to assist drafters of constitutions in various parts of the world. Most of this work involves providing drafters with menu of reasonable options for any given set of provisions along with some expectation of the various consequences of these design choices. In September of 2013, we (with Google) launched Constitute, a website that allows constitutional drafters, citizens, (and anybody with some curiosity about constitutions) to extract excerpts of constitutional text on some 300 topics from a complete set of constitutions currently in force. Soon, the site will include nearly every constitution written since 1789. This site replaces constitutionmaking.org, a site we developed and maintained for five years and which included a repository of constitutional texts, reports on options, and a blog. That blog has evolved to become the official blog of the International Journal of Constitutional Law. Some of the original option reports are available here. A significant research theme that runs through most of my work has to do with the spread of ideas and policies through some process of contagion. My Ph.D. dissertation explored the diffusion of democracy and I have looked at the mechanics of diffusion in a number of different substantive arenas, such as economic policies, investment treaties, and of course, constitutions. Indeed, my primary motivation for collecting data on historical constitutions was to describe the various spatial and temporal patterns by which constitutional ideas spread. Those patterns are, in part, the topic of my book (Designed by Diffusion), which I hope to be on the shelves within the year. The book includes about eight years of research on the diffusion of constitutional ideas and draws from three areas of research: (1) a cross-national study of the spatial and temporal patterns of design choices in historical constitutions; (2) evidence from interviews and archival data from Brazil; and (3) a series of laboratory experiments that test the micro-foundational assumptions of theories of institutional diffusion. Some of the conceptual ideas in the book are assembled in this article. I have a deep interest in citizens' attachment to the state, sometimes conceived as nationalism or patriotism. I view some level of attachment as a critical ingredient in stitching together otherwise divided states. With Rui de Figueiredo I wrote an article on the connection between in-group and out-group pride, which explored whether individuals who express strong positive feelings toward their country are also hostile towards immigrants and other outsiders (not really, it turns out). With John Sides, I have been investigating the institutional bases of national attachment. In our recent article in APSR we look closely at multiethnic states and whether certain institutions (e.g., those that promote powersharing) inculcate an attachment to country among minority groups (unfortunately, for the most part they do not). In most of our work, Sides and I have been using extant measures of individuals' national identity, which are illuminating but, in our view, sub-optimal for a variety of reasons. We have, therefore, been developing a set of original survey items and exploring a number of experimental methods to better measure national identity and to better understand the consequences of certain institutions on national (and ethnic) identity. Increasingly, we have come to view citizenship policies as potentially the most consequential policy lever for fostering national identity, but we have yet to firmly establish this. We have a grant proposal under review that, if funded, will allow us to test our new empirical approaches with national samples in several multiethnic states. I also have a long-running project in which I have been studying unobtrusive measures of national identity in the U.S. context. Since 2003, I have been conducting a periodic survey of sampled households within a municipality in the midwest on the the incidence of flag displays (and other patriotic symbols) as well as campaign yard signs -- data that I have paired with surveys of these households, turnout data, even some quasi-experiments to test a variety of hypotheses about national identity, ethnocentrism, and even diffusion. In recent years, Brian Gaines has joined me on this project. I have long had a keen research interest in Latin America through residency (Guatemala, Colombia, Peru, Brazil) and field work in the region. My original academic interests are in Central American politics and I have some early work on the topic that I may dust off and publish one day (if time has been kind to it). In the last ten years, I have been particularly focused on Brazil. Some of my research on Brazil has been published in Brazilian journals, such as an article on mandatory voting and one on the Brazilian constitution. In Summer of 2010, I will return to Brazil to conduct another wave of interviews with elites, scholars, interest groups, and journalists about the making of the Brazilian constitution. I had conducted a set of such interviews in 2001. Footage from these interviews will be included in a documentary film on the topic that I plan to make (with a Brazilian filmmaker and Tom Ginsburg) that will be released on the 25th anniversary of the constitution, 2013. I have a strong interest in social science methodology and teach courses on statistics and research design and have published some on issues of conceptualization and measurement. One of my earliest publications is on themeasurement of democracy and much of my other published work includes a significant measurement component. Recently, I have become particularly interested in the problem of measurement equivalence, or how researchers can develop measures of concepts that are comparable across time and space. With John Sides I have been working on methods to diagnose and treat issues of measurement non-equivalence. Some of this will appear the publications page soon. Comparative Constitutional Design. In this course we will examine the design and implementation of national constitutions. In particular, we will address the following questions. What are the basic elements of constitutions? How do these elements differ across time, across region, and across regime type? What is the process by which states draft and implement constitutions? What models, theories, and writings have influenced the framers of constitutions? We will begin by reviewing the historical roots of constitutions and investigate their provisions and formal characteristics. We will also discuss the circumstances surrounding the drafting of several exemplary or noteworthy constitutions. We will then examine the process of constitutional design in some depth, exploring both the sources and consequences of different design choices. The Politics of Development | Syllabus. This course surveys important topics in the politics of developing countries. The course begins conceptually with a closer look at the idea of “development” and the classification of cases along such lines. We then examine the historical foundations of political systems in the developing world. We briefly explore the constraints of geography before turning to aspects of colonialism, the rise of nationalism, the movements for independence, and transitions to and from democratic rule. The second part of the course then investigates particular demographic challenges to (and policy solutions for) governance in the developing world, including the problem of population, urban migration, and agrarian reform. In the third part, we turn to sources of political change and upheaval in these societies, including globalization, ethnic violence, and the role of women in politics. Comparative Political Behavior | Syllabus. This course explores traditional themes of political psychology from an international perspective. The goal is to understand the motivations behind political acts such as ethnic violence and vote choice as well as the sources of political attitudes and beliefs such as patriotism and political ideology. While much of the research in this area is traditionally set in the United States, the focus of this course is explicitly comparative with the United States as a point of reference. We review the classic works of political psychology as well as its contributions to the study of international politics. Students will also develop an understanding of basic research methods used in the study of political behavior, in particular public opinion and experimental research. The Art and Science of Contracting. This course explores the challenges of writing collectively - whether the text is national law, international treaties, legal contracts, business plans, or analytic reports. Our particular concern is with Constitutional Design, which is arguably an especially important form. The course explores theoretical approaches to collective decision-making, negotiation, contracting, and workflow in organizations. Students will be active participants in the evaluation of experiences with, and methods of, collective writing. Conceptualization and Measurement | Syllabus. This course introduces students to the challenges of developing meaningful social science concepts and of identifying and evaluating appropriate measures of these concepts. These are challenges that arise, explicitly or not, in nearly every social science inquiry. Topics include the following. What makes for a “good” concept? How do we determine the defining characteristics of concepts? How can we build measures of concepts and evaluate their reliability and validity? How can we measure concepts comparably across different contexts (both geographic and historical)? The objective of the course is highly pragmatic. Students will develop a familiarity with a varied set of methodological tools that are useful with both qualitative and quantitative data. As such, the course requirements will include applied exercises and analyses. The course will entail both “interpretive” and statistical components, although prior coursework in methodology of any sort is not required or expected. Comparative Constitutional Design | Syllabus. The purpose of this course is to explore some of the problems and curiosities involved in designing a constitution. Our subject matter is limited to the “hard-wired” aspects of a constitution – that is, its institutional or structural components – not its interpretation per se. So, for example, we ask how and to what effect constitutional drafters design things like federalism, electoral rules, and the relationship between executives and legislatures, rather than puzzle over the nuances of the text of the American founders and its application. The background assumption is that drafters can improve upon their designs with a better understanding of the consequences of institutional choices. The course is intended for both law students and doctoral students in political science, who will be equally represented. Given our institutional approach, law students may well find a larger dose of social science than that to which they are accustomed and Government students will notice a stronger emphasis on the normative implications of particular institutional structures than they may be used to. Comparative Political Behavior | Syllabus. This course explores traditional themes of political behavior from an international perspective. The goal is to understand the motivations behind political acts from voting to violent protest as well as the sources of political attitudes and beliefs such as ethnic and national identity and the values and skills associated with democratic societies. While much of the research in this area is traditionally set in the United States, the focus of this course is explicitly comparative with the United States as a point of reference. Democracy and Democratization | Syllabus. This graduate seminar focuses on the concept of democracy, its measure, and its causes and consequences. We cover many of the classic works in this large literature, as well as several recent contributions. Along the way, we also read select methodological works that explore some of the challenges in the comparative analysis of democracy and democratization. The major requirement for the course is a seminar paper, the topic of which is to be arranged individually. Law and Democracy. This course reviews current research on legal institutions and human rights and their effect on societal outcomes, with a special focus on the craft of writing. For one-half of the course, participants will read and discuss a selection of unpublished book manuscripts and papers authored by leading scholars in the field, who will visit class on the day their text is discussed. Another half of the course will be devoted to broader readings on methodological and theoretical approaches to “Law and Democracy.” and in particular, to the art of writing in law and political science. Participants will be expected to complete a set of short writing assignments and engage actively in class discussions. Note that a small set of UT faculty and graduate students will likely visit the course on occasion. Writing and Publishing in Political Science. In this course we focus on the craft of writing in the social sciences. The course will cover general approaches to style and mechanics, processes of (and tools for) collaboration and review, as well as particular modes and forms of writing, such as proposals, articles, and opinion pieces. Much of the course runs like a highly coordinated writing group -- participants produce written work, of various genres, and read and comment on fellow-participants' work. The specific and pragmatic objective is to produce published writing, for which there will be a clear set of deadlines. If you are still reading at this point, you're probably interested in this.